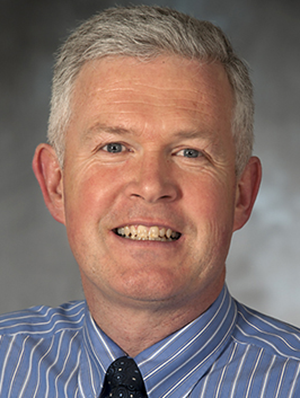 Following medical school and residency in Dublin, Ireland, David Power, MD, MPH, moved to the U.S. He completed a fellowship in faculty development and an MPH in epidemiology at the University of Minnesota. He directs the department's medical student education activities, leads medical school curricular integration of public health and health policy, and sees patients at University of Minnesota Physicians Bethesda Clinic. He also serves as a Society of Teachers of Family Medicine (STFM) representative to the Alliance for Clinical Education until 2018 and is co-chair of the STFM Primary Care and Public Health Integration collaborative. In 2018, Dr. Power was inducted into AHC Academy for Excellence in the Scholarship of Teaching and Learning. Power D. Tales out of school. Pulse. 2016. Available at: http://pulsevoices.org/index.php/archive/stories/854-tales-out-of-school. Accessed September 27, 2016. Smiley Y, Power DV. Is a single dose of oral ondansetron effective in reducing rates of intravenous rehydration in children with gastroenteritis? Evidence Based Practice. Sep 2014;10-11. Anthony D, Jerpbak CM, Margo KL, Power DV, Slatt LM, Tarn DM. Do we pay our community preceptors? Results from a CERA clerkship directors' survey. Fam Med. 2014;46(3):167-73. Grothe H, Power DV. What is the best treatment for trigger finger (stenosing tenosynovitis)? Evidence-Based Practice. 2013;16(4):9-10. Power DV, Pratt RJ. Karen refugees from Burma: focus group analysis. International Journal of Migration, Health and Social Care. 2012;8(4):156-66. Dyrbye LN, Harper W, Moutier C, Durning SJ, Power DV, Massie F, et al. A multi-institutional study exploring the impact of positive mental health on medical students’ professionalism in an era of high burnout. Acad Med. 2012;87(8):1024-31.